Few things are more lovely than when your book wins an award. It’s gratifying because writing books is hard work. Writing this book was the hardest work of all because I wasn’t allowed to make anything up. The most special awards are the ones voted for by children, because they are who my books are for. If they vote for your book to win an award then you must be doing something right, right? I wrote The Beetle Collector’s Handbook because I am passionate about children discovering how wild and wonderful beetles are, and so this award means a HUGE amount to me. It’s made my year. 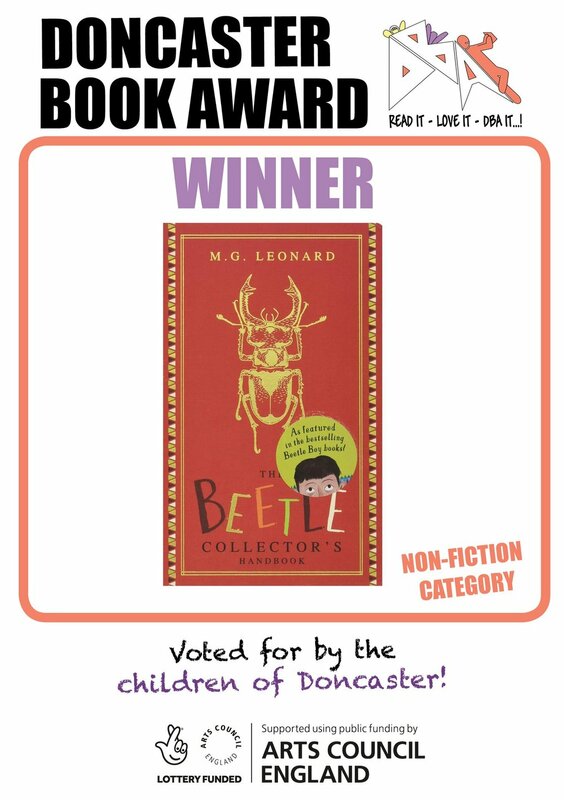 A big thank-you to everyone in Doncaster at the book award and especially those fantastic children that voted for my beetle filled book.